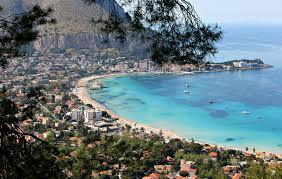 Palermo enchants Europeans with its sun and sea, and it is also the most loved city by French. According to a research done by a search engine travel for flights and hotels, the Sicilian capital is one of the most appreciated tourist destinations by Europeans. Palermo has been also among the top ten favourite cities for the holidays 2016. You can appreciate Palermo in every season and in every month of the year. For your stay you can choose an accommodation near the city centre or near the beach, so give a look in the catalogue of Villas in Palermo . Palermo is beloved by French but also by people from other parts of Italy; in fact, the Sicilian capital is the top destination according to French and the fourth city chosen by Italians to spend a few days enjoying the beach and the sun. Palermo is also included among the favourite destinations for the Spaniards, Portuguese, English, Germans and Russians; being even among the top ten. Also Catania is a very popular destination in Sicily. A city between the sea and the volcano can’t stop fascinating the tourists. Etna Volcano, in every season is a real attraction for the foreigners, and even people who live there don’t settle into this sight and can’t stop surprising at each blow of the volcano. Anyway, if Rome is the undisputed queen of the most appreciated Italian cities by Europeans that have decided to travel to Italy in 2016, (it’s clear, it is the capital of Italy! ), among the world’s fashion capitals, Milan has attracted much foreigners, and it is at second place for the Spanish, the Portuguese, the English and the Dutch. The French have put it in third place and the Germans in fourth. So not bad for Palermo!